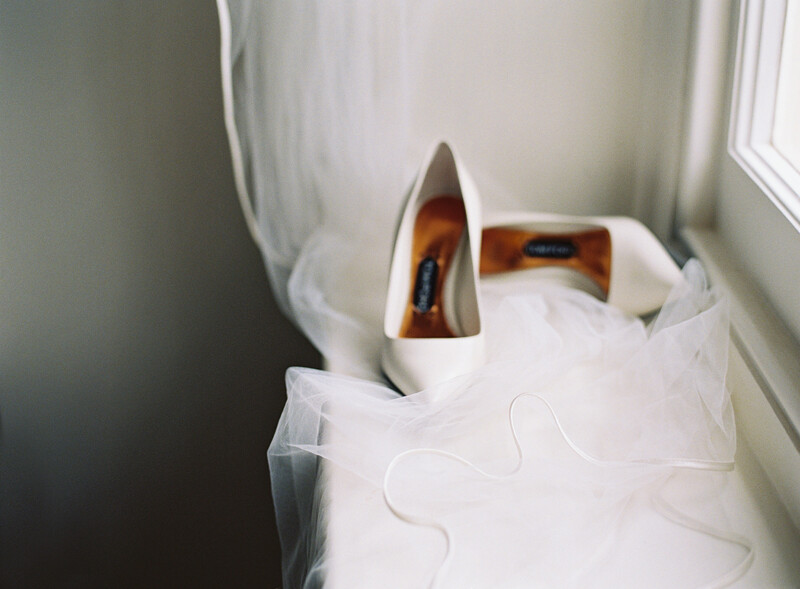 I am often asked ‘what is film wedding photography?’ I’m going to tell you all what it is that I love so much about film photography and what makes it so special for weddings. What is film wedding photography? Film wedding photography is the art of capturing an image on a roll of film negative (or a sheet of transparent plastic coated on one side with a gelatine emulsion containing light-sensitive silver halide crystals if you want to get really technical!). Once exposed in camera, the film is then developed at my professional lab who develops it, scans it, and sends it back to me as digital scans. Film photography requires a special amount of skill because the photographer must have an advanced understanding of light in order to expose the image correctly. This is why film wedding photography is so sought after, not many of us photographers can do it! The main reason I love film photography is because I am drawn to soft, dreamy and romantic images. These are the images that stop me in my tracks and take my breath away. There is a soulful, ethereal quality to film photographs and a beautiful grain and texture. These aesthetics are what make me pause and really look at the photograph rather than scrolling past. In a digital world where everything seems to be fast and disposable, film is tangible and authentic. There is magic to the creation of it and a tradition in the printing of film images. I’m a so passionate about my clients printing their images to frame or display in their homes and this always leads me back to my love of film. When I take an image on film I’m already imagining it in a frame, being shown to friends and passed down the generations. Because each photograph had been crafted and curated, it becomes an heirloom to be treasured and enjoyed. Why I shoot weddings on film. The elegant and flattering look that film produces is why I find it particularly suited to weddings. There are no gimmicks or effects, film images will look as good now as they will in 3o years time. They are timeless. Colours on film looks luminous, skin tones are smooth, details and textures are perfectly captured. I love how film conveys emotion and romance. The softness of the images makes the subject look like they are in a light-filled dream, which is ideal for weddings, the happiest day of your life. I heard a story at a film photography convention a couple of years ago about a Japanese town which was ravaged by an earthquake. When townspeople were sifting through the rubble of homes it wasn’t valuables that they were saving, it was photographs. These were then taken to the village hall where they were cleaned and put on display so that they could be reunited with their owners. I found this story so special and it really spoke to me about the importance of photographs, not ones on our phones, ones that have been printed and loved. They will last hundreds of years, isn’t that amazing? This timeless ability to capture memories is why film wedding photography has my heart. Yes I also shoot digital when needed but film is where it is at for me. Elegant, timeless, beautiful, soulful, real, images to revisit again and again. If you’re planning an elegant wedding celebration please do get in touch so we can arrange a time to talk about your wedding photography.